I am Major Alan Grant MBE SCOTS. 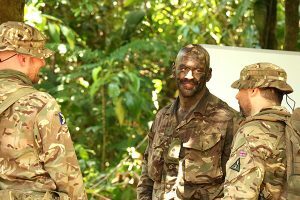 Currently I’m posted to Belize with DIO Range Control as the Training Safety Officer (TSO) in support of the British Army Training Support Unit Belize (BATSUB) and I love my job. This is my third time in Belize, I completed a six month operational tour in 1992-93 when helping to protect this small nation. I also conducted an overseas training exercise as Motor Transport Officer (MTO) in 2006 with 1st Battalion The Royal Highland Fusiliers. I have been in my current post since October 2017 and consider myself very lucky to be on my third overseas posting in a row. I was posted to Kenya as a second tour senior infantry Quartermaster (QM) with British Army Training Unit Kenya (BATUK) in 2013 -2015. I then took over as second in command of Episkopi Station British Forces Cyprus. Although nearing retirement I still have a pioneering spirit and, fully supported by my wife Maria, we agreed to request one last overseas tour and I was exceptionally blessed to be posted to Belize. As TSO for the site I am responsible for providing a Safe Place to Train to exercising units not only from the UK, but from other nations including the US, the Netherlands and Norway. Training takes place in what is a very tough, austere environment with extreme weather, arduous jungle terrain and countless biting insects. Between myself and my second in command Warrant Officer Class 2 Quartermaster Sergeant Instructor Stewart, Small Arms School Corps (SASC) we police and govern the exercising troops’ activities to confirm safety and enhance realism where possible. 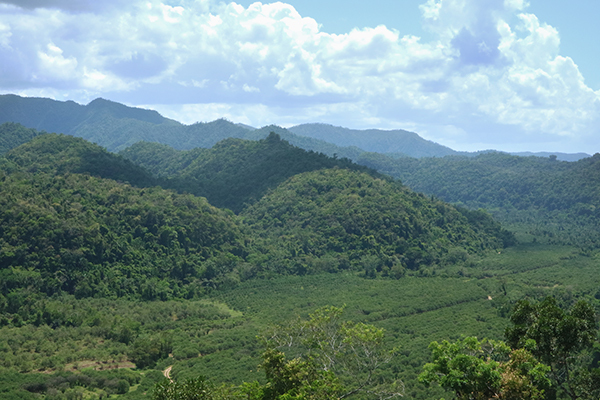 With around 375,000 hectares of land, it’s important for me to have close and regular liaison with Belizean Government organisations, land owners, land managers, Forestry Department, Department of Environment, animal protectorate groups and archaeological experts. I also dedicate my time to ensure all users of the training areas protect the Belizean environment, respect their land, rules and laws in order to ensure we continue to have “Consent to Train”. 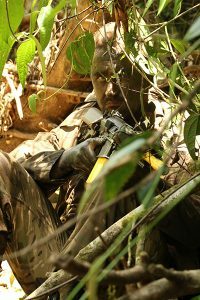 Between my staff and I we support jungle survival packages, take out numerous recce groups, host visits to the training area, provide advice, conduct refurbishment of land as required and so much more. There’s never a dull day. The training value for UK troops is second to none for all ranks. Provided with a superb set of training grounds they very soon realise that they must have the basic skills at a high standard or they will very quickly suffer. Logistically and tactically units are stretched and have to improvise to overcome numerous unforeseen obstacles. Every unit I have met starts apprehensive, but soon thrives. 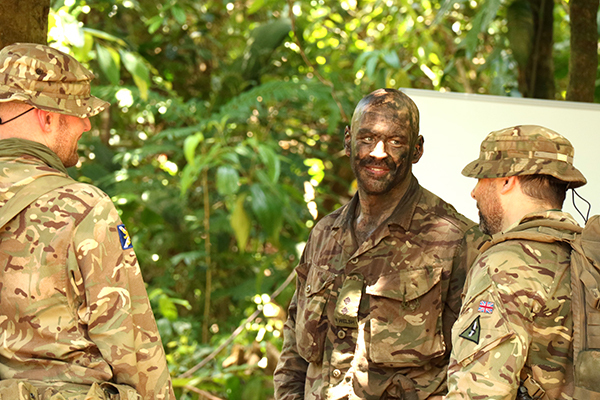 The soldiers are proud of surviving over a month in the jungle and leave with a massive sense of achievement. I was drawn to Belize as it is a very unique, stunning country steeped in history and culture. My ‘office’ (the vast expanse of land) is bigger than the eye can see. The local people and their mix of cultures are very friendly and helpful. The weather is muggy, stifling hot and it can rain a lot, which feels five times more powerful than the UK rain drops. Some weekends when not working, there is the opportunity to visit the Cayes with the beautiful white sandy beaches. The thunder and lightning storms are a sight to see and although I have endured some tropical storms, I have yet to experience a full Caribbean hurricane close up. 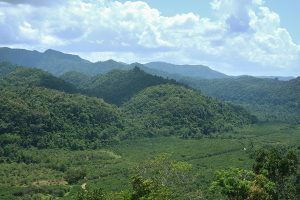 There is a lot to see and do in Belize and it is a country that should be fully embraced in my opinion. In my role, I regularly meet new people, military of all cap badges and nations to civilians from all walks of life, from farmers to city officials. 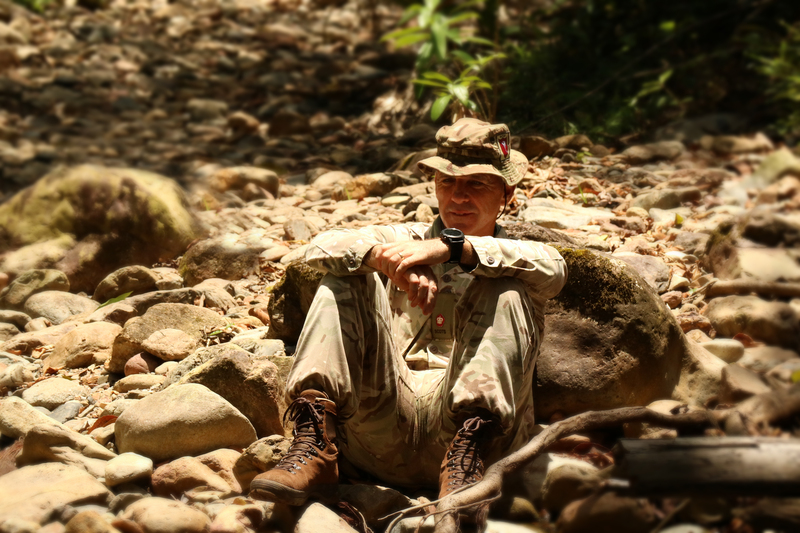 The vast expanse of training areas has me travelling a lot, mostly on bumpy tracks off road through jungles, past creeks, lakes to mountains. With no two days the same, I have been lucky enough to spot jaguar, crocodiles, several snakes and spiders bigger than my hand, monkeys have even thrown sticks and more at me - yes I avoid them all. 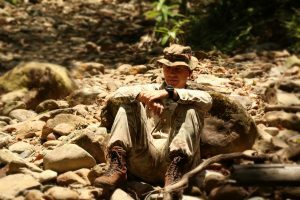 Challenges can include dealing with flash floods, extreme weather, poor road conditions and the laid-back Caribbean attitude which can test the resolve when you are in a hurry (us Brits, like most Europeans, are admittedly slaves to the clock). Range control is learning fast and growing in experience at an impressive rate. 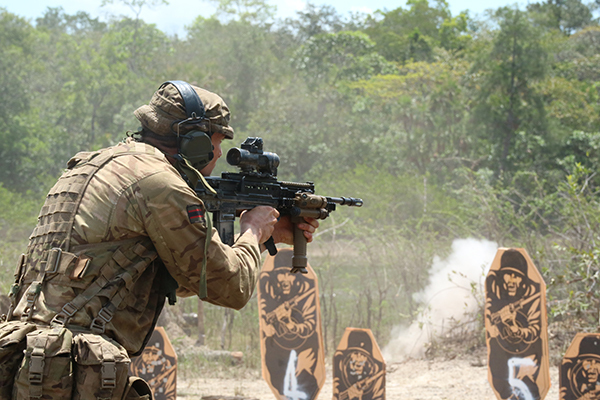 My Quartermaster Sergeant Instructor and I have worked hard to ensure the training of the Range Control, Range Wardens and Trackers including driving, map reading, first aid, signals to environmental protection. I am very proud of how far they have come and what they have achieved to date. Hi Alan (Sir) Nice reading about your Belizean experiences,I was very fortunate to be posted as personal chef to the CBF Belize in 77 where I worked at Wyvern house on airport camp,the boss was Col John Head, Irish guards and I was able to take a helicopter every Friday morning to San Pedro and get picked up at 10am on the Monday morning, this was a brilliant 15minute flight over 36 miles.I was there when the Guatemalan threat was on,would love to visit the old place again but unless you sort out my accommodation and indulgence flight I'm afraid Im stuck in Preston ha ha enjoy your time there as its an experience you will never forget.